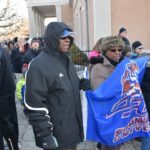 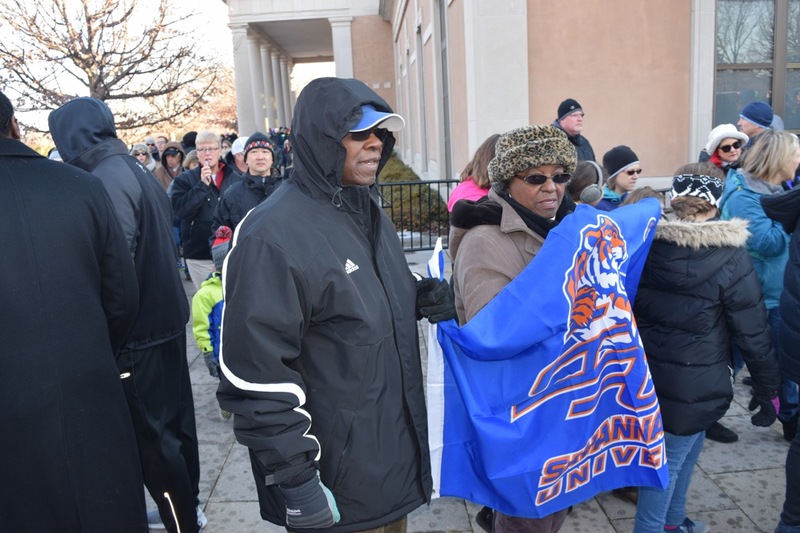 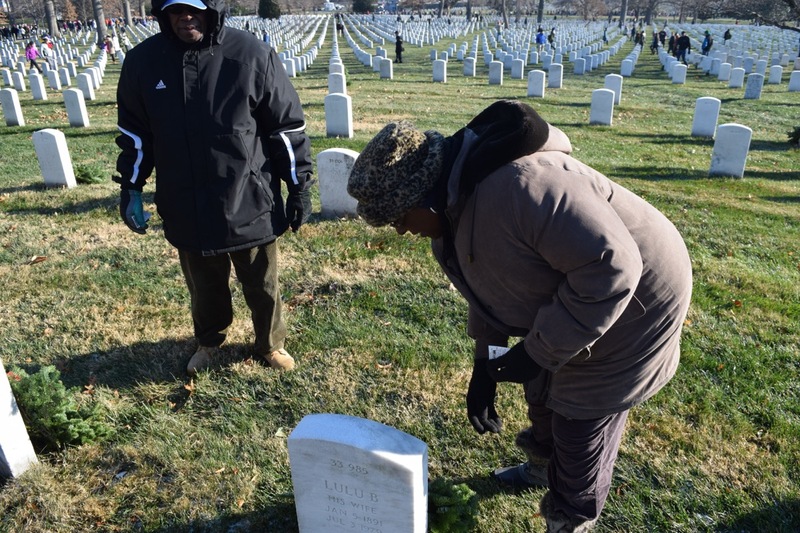 ARLINGTON, Va. – SSUNAA Washington DC Chapter President, Mrs. Zelmar Gordon and her husband John greeting SSUNAA volunteers before the Wreaths Across America Day at Arlington National Cemetery. 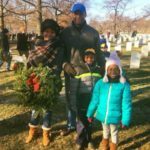 ARLINGTON, Va. – Mr. and Mrs. Gordon greet SSUNAA volunteers arriving for the Wreaths Across America Day at Arlington National Cemetery. 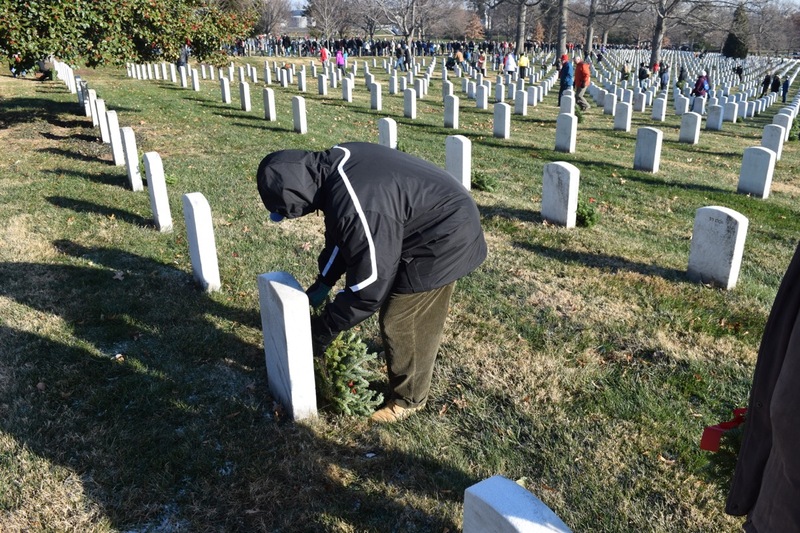 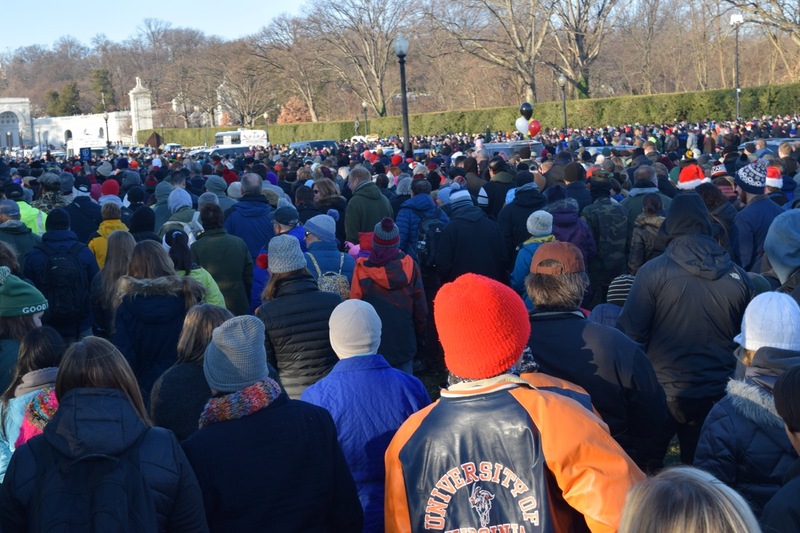 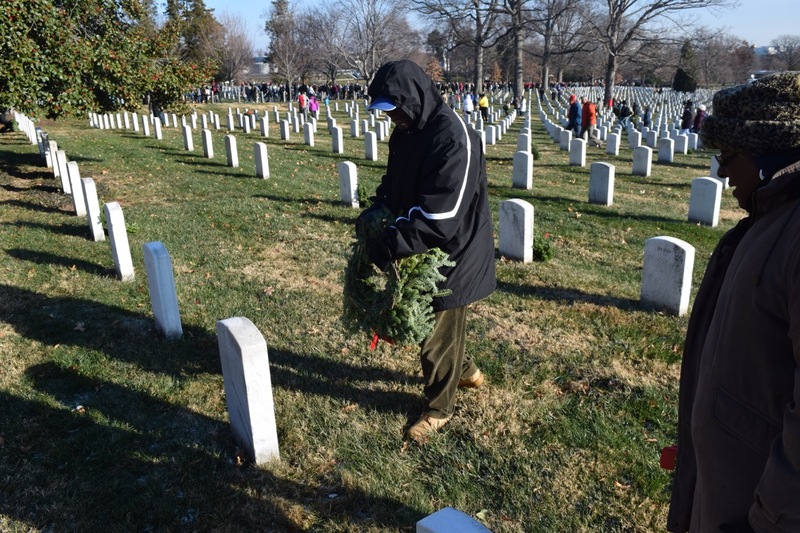 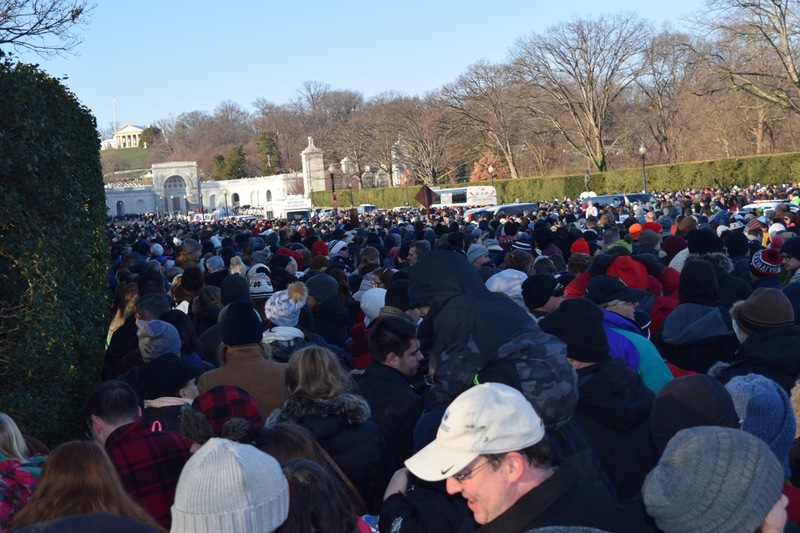 ARLINGTON, Va. – Wreaths Across America Day volunteers waited patiently to enter the Arlington National Cemetery. 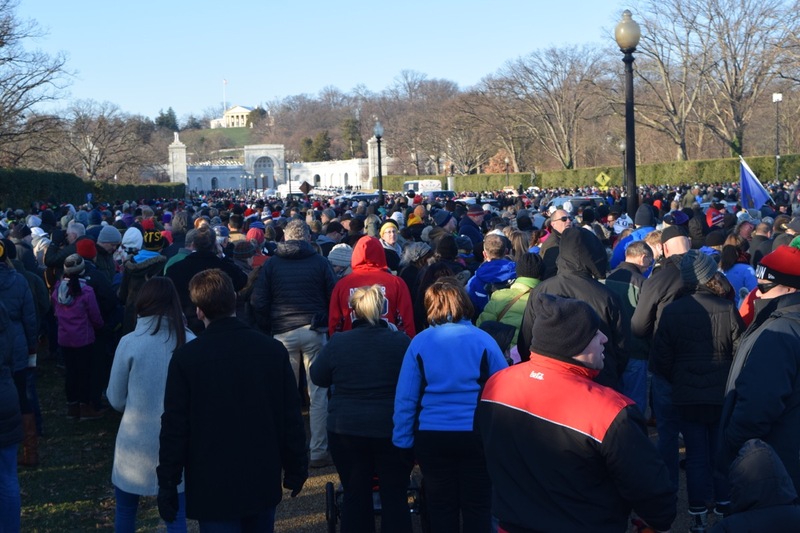 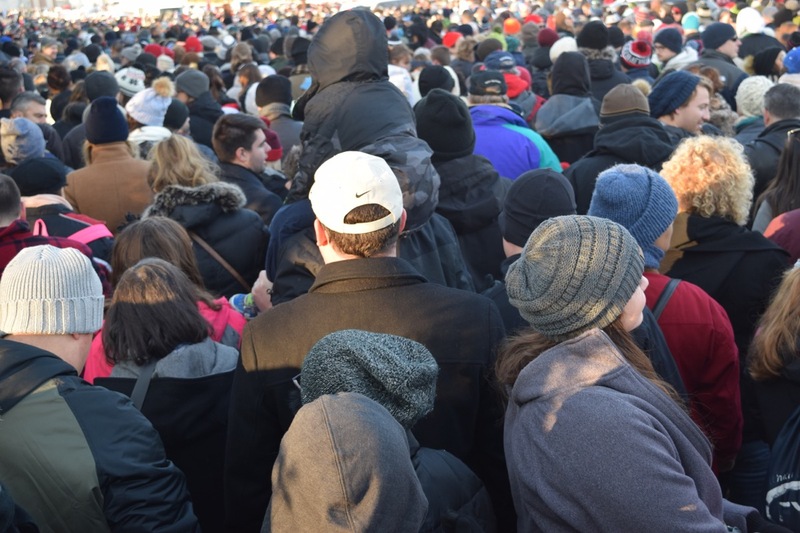 ARLINGTON, Va. – The crowd of volunteers before the Wreaths Across America Day at Arlington National Cemetery. 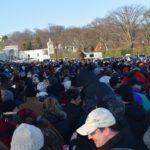 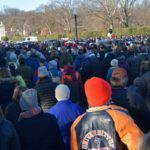 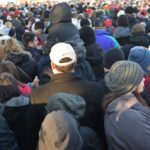 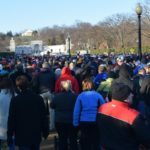 ARLINGTON, Va. – A crowd of volunteers preparing to enter the Arlington National Cemetery grounds for the Wreaths Across America Day. 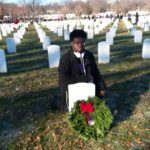 ARLINGTON, Va. – SSUNAA Washington DC Chapter President, Mrs. Zelmar Gordon pauses to read the service member’s name before laying a wreath at the grave site during the Wreaths Across America Day at Arlington National Cemetery. 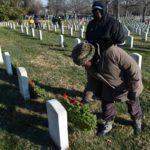 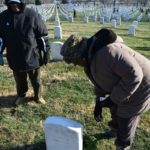 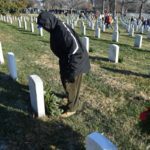 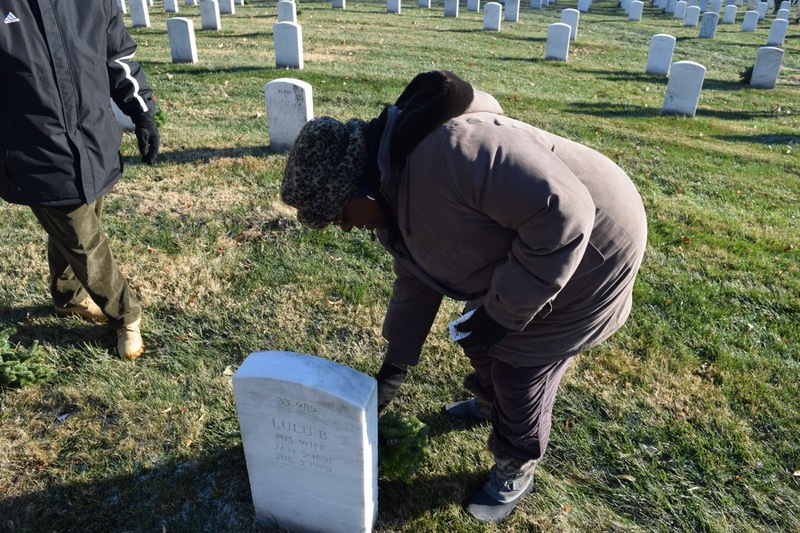 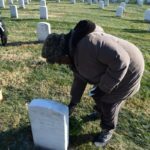 ARLINGTON, Va. – SSUNAA Washington DC Chapter President, Mrs. Zelmar Gordon lays a wreath at a grave site during the Wreaths Across America Day at Arlington National Cemetery. 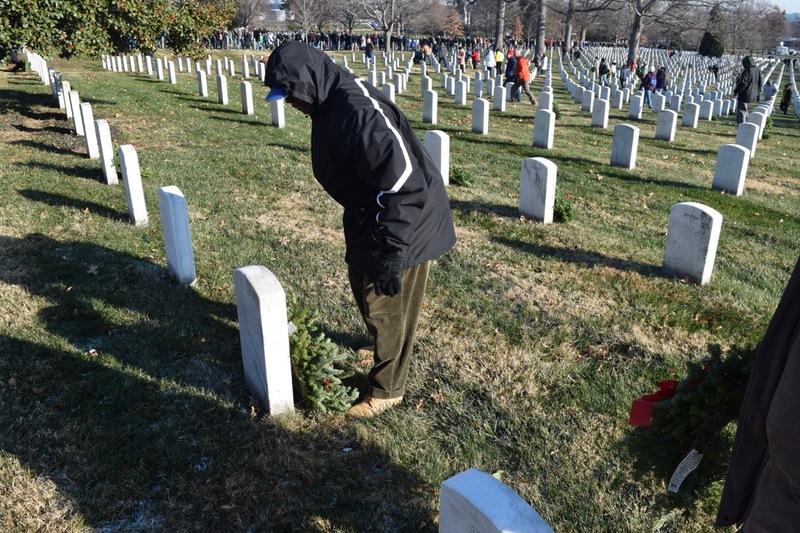 ARLINGTON, Va. – Mr. John Gordon lays a wreath at a grave site during the Wreaths Across America Day at Arlington National Cemetery. 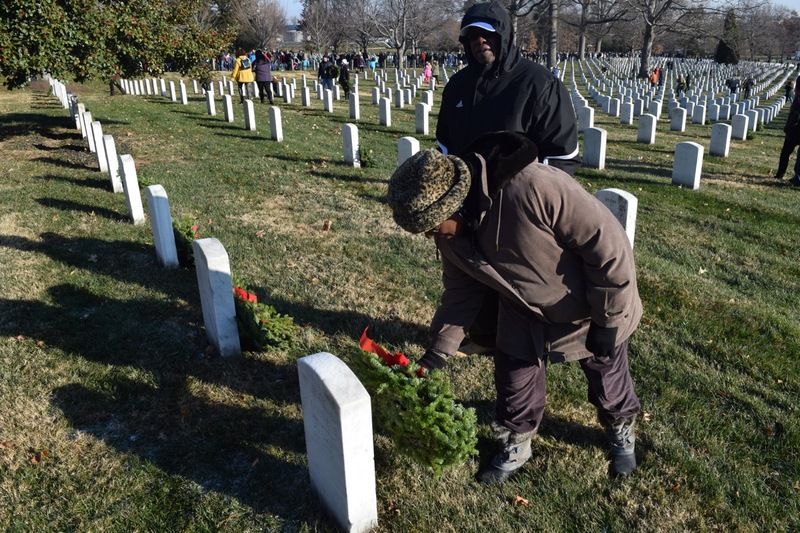 ARLINGTON, Va. – SSUNAA Washington DC Chapter President, Mrs. Zelmar Gordon and her husband John lay a wreath at a grave site during the Wreaths Across America Day at Arlington National Cemetery. 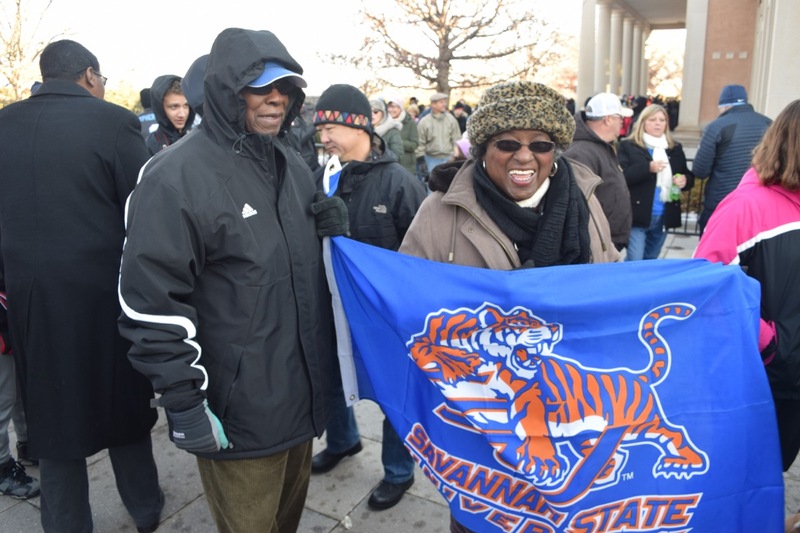 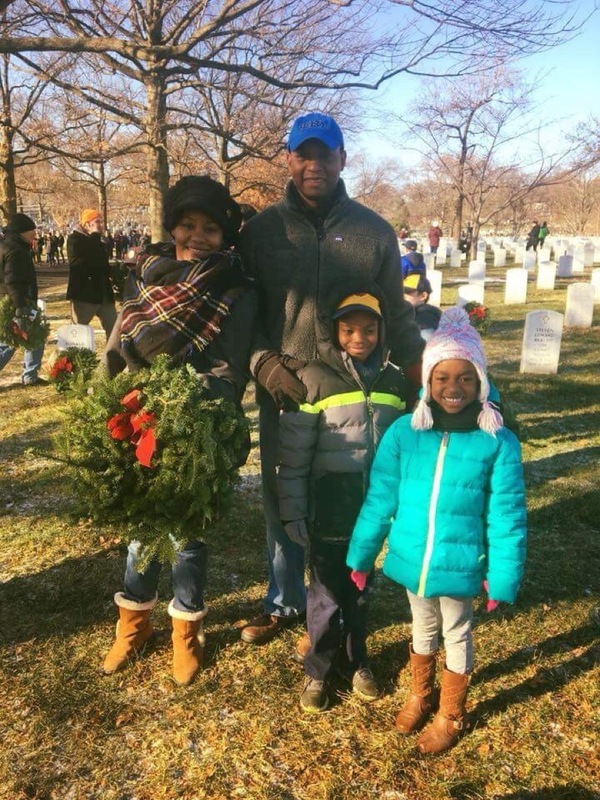 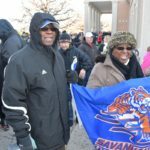 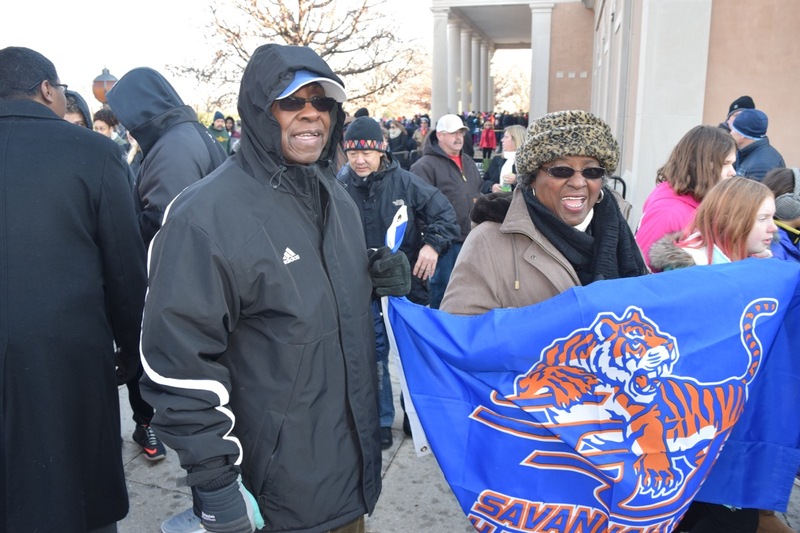 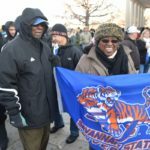 ARLINGTON, Va. – Savannah State alumnus Ron Wilkes and family pause for a photo during the 2018 Wreaths Across America Day at Arlington National Cemetery. 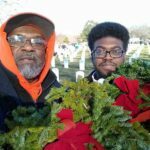 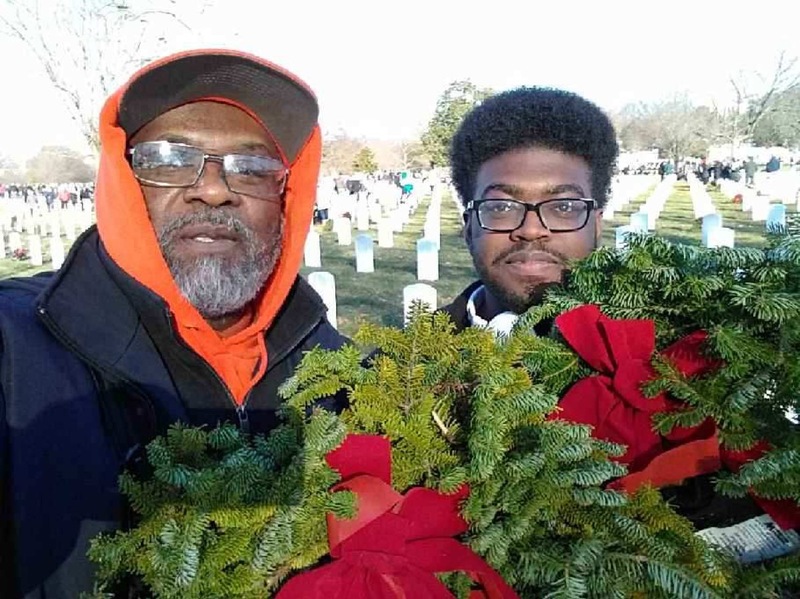 ARLINGTON, Va. – Mr. Charles Young and SSU student Fredrick Barnes prepare to lay wreaths during the Wreaths Across America Day at Arlington National Cemetery. 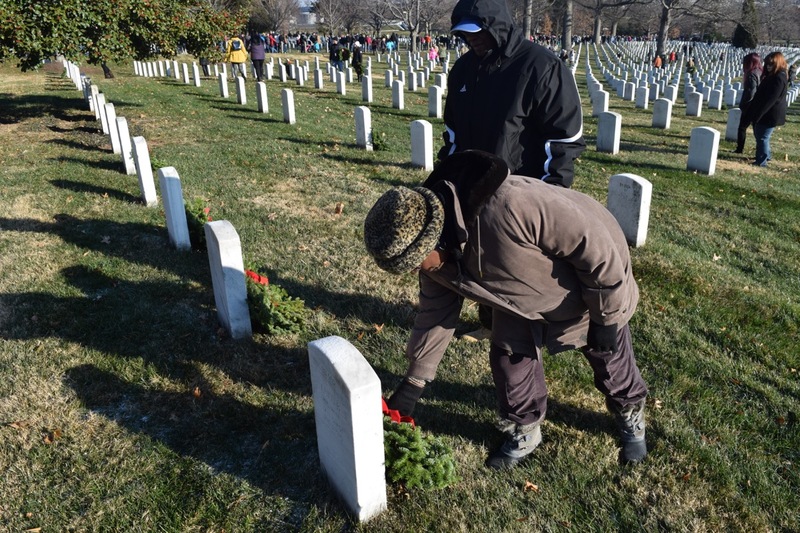 ARLINGTON, Va. – Mr. Charles Young lays a wreath at a grave site during the Wreaths Across America Day at Arlington National Cemetery. 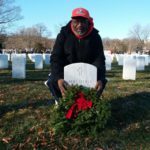 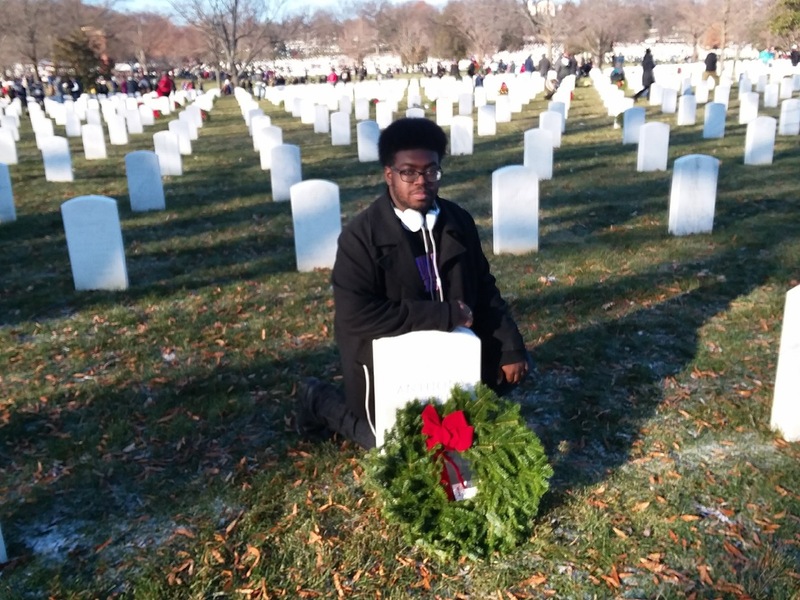 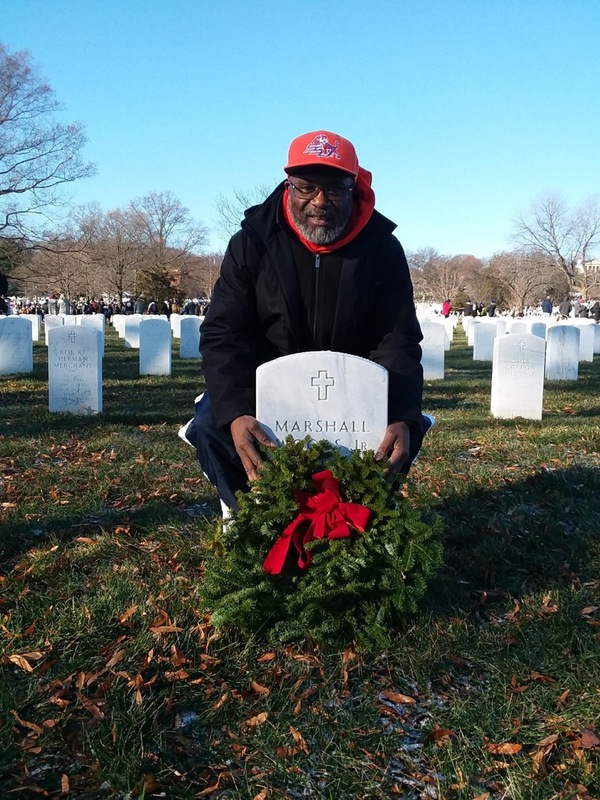 ARLINGTON, Va. – SSU student Frederick Barnes lays a wreath at a grave site during the Wreaths Across America Day at Arlington National Cemetery. 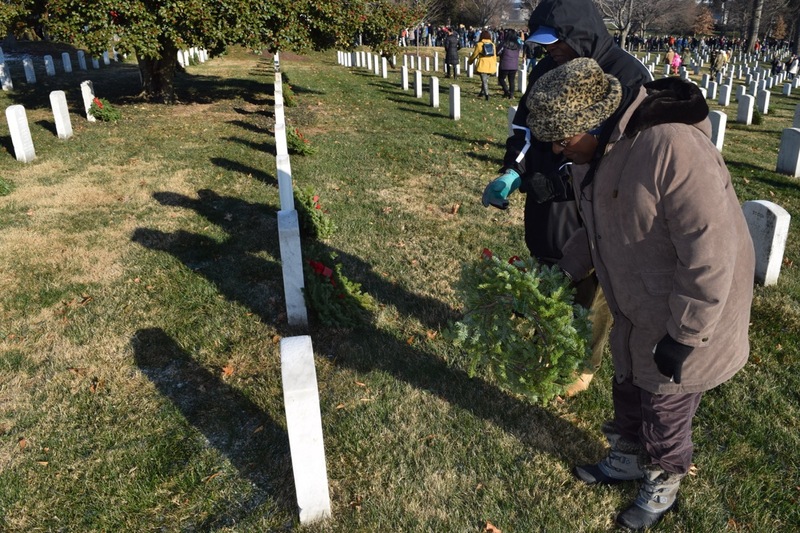 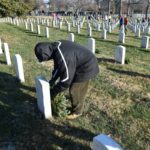 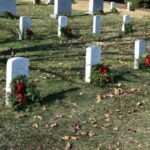 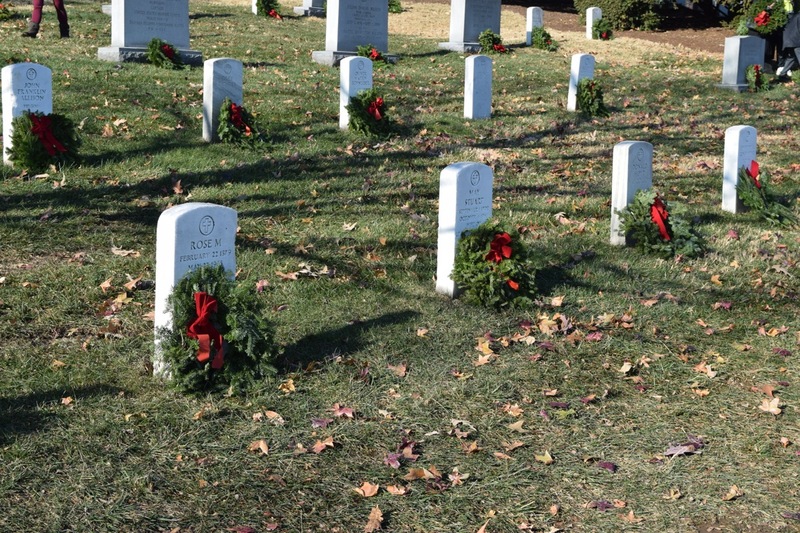 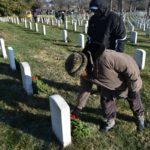 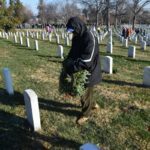 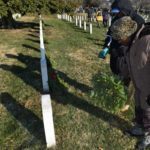 ARLINGTON, Va. – Grave sites during the 2018 Wreaths Across America Day at Arlington National Cemetery.